The bureau Ministre appears during the Empire style period. 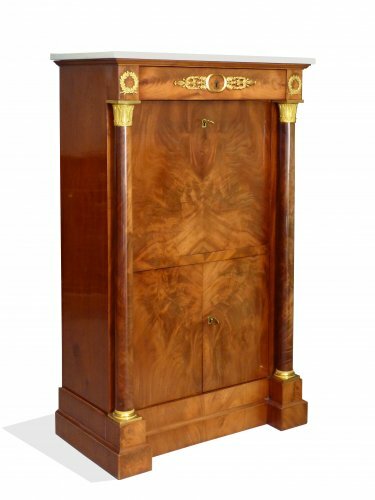 Solid and imposing, it rests on two cases accommodating large stacked drawers (full base). 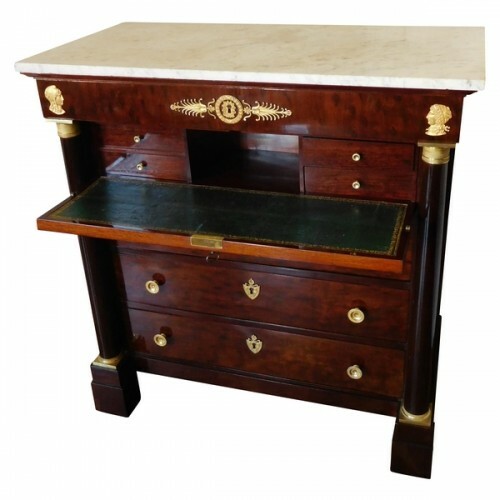 It also manifests as a bureau-piano provided with a rack to extend or retract the tray. The tables à écrire have four legs joined two-by-two with a cross-piece. 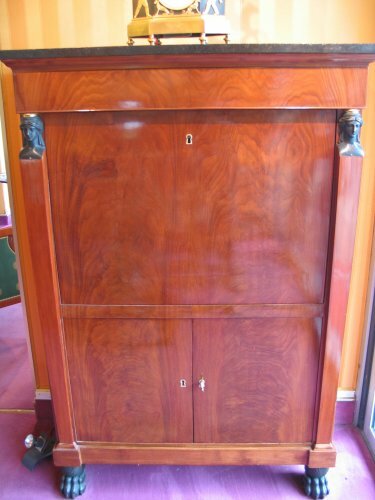 A sliding tray protects the top. 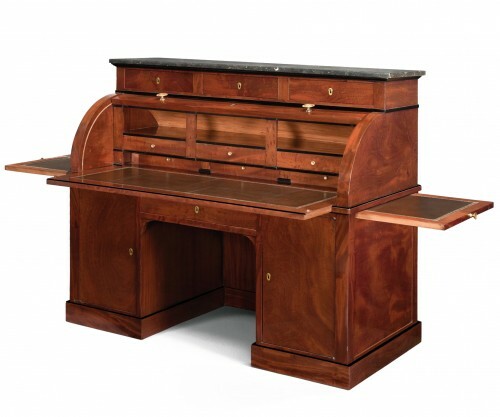 Some Empire desks have three drawers, others five in an overhanging row. 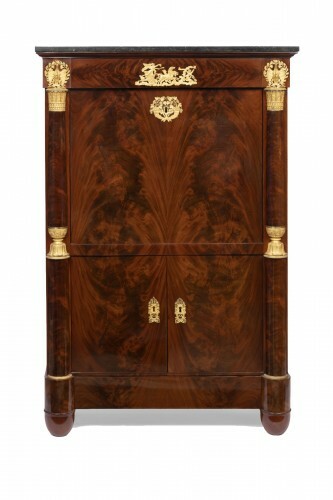 In solid or veneered mahogany, this bureau is adorned with several geometrical and symmetrical gilt bronzes. The legs are heavy, in the shape of columns, balusters, scabbards, animal feet, claw feet, gryphons, winged caryatids, squared spinning tops. 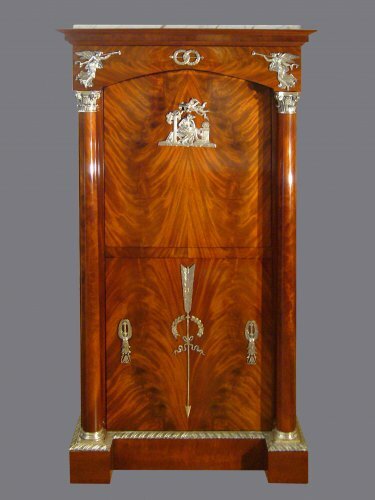 The Empire secretaire is faithful to the Louis XVI secrétaire. 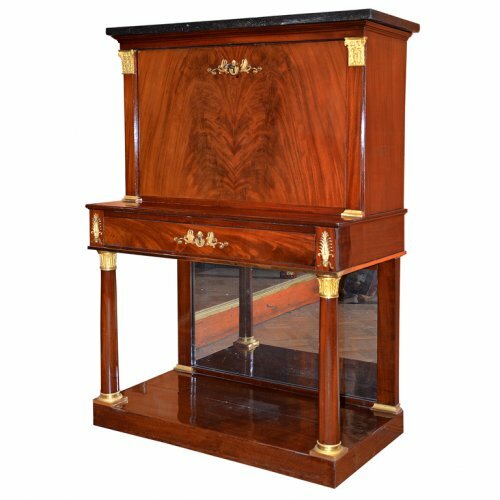 In solid mahogany and satinwood, the drop leaf secretaire is highly fashionable: marble plateau, legs adorned with caryatides and swans. 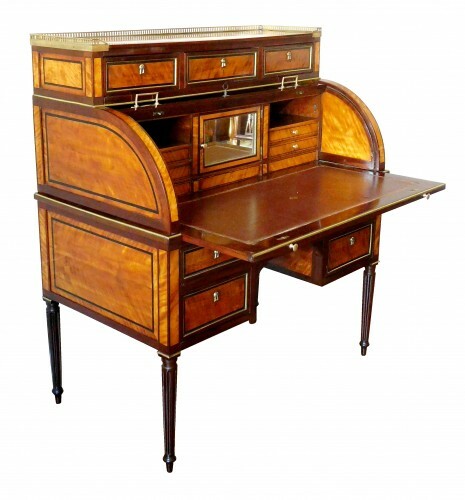 The secrétaire à cylindre (Cylinder Desk) is very imposing: topped with a bibliothèque, or series of drawers, it rests on two groups of four legs. 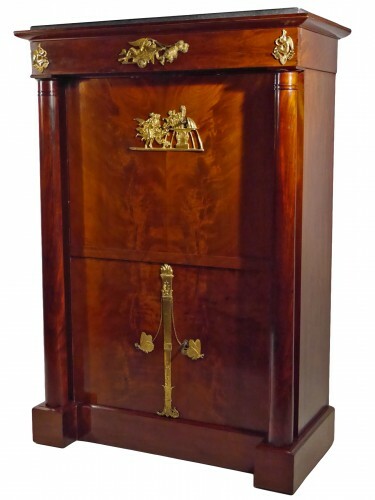 Lastly, the Bonheur du Jour has a rectangular and solid shape on stout legs joined by cross-pieces.